Telly is out of National Champion ‘Z-Man’ on the top side and ‘Kawanas Flirtatous Kiss’ on the bottom side. His pedigree includes ‘Shredder’, ‘Rowdy’, ‘East Acres Golden Jubilee’, ‘ARC Learo’, and ‘ARC Kawana’. 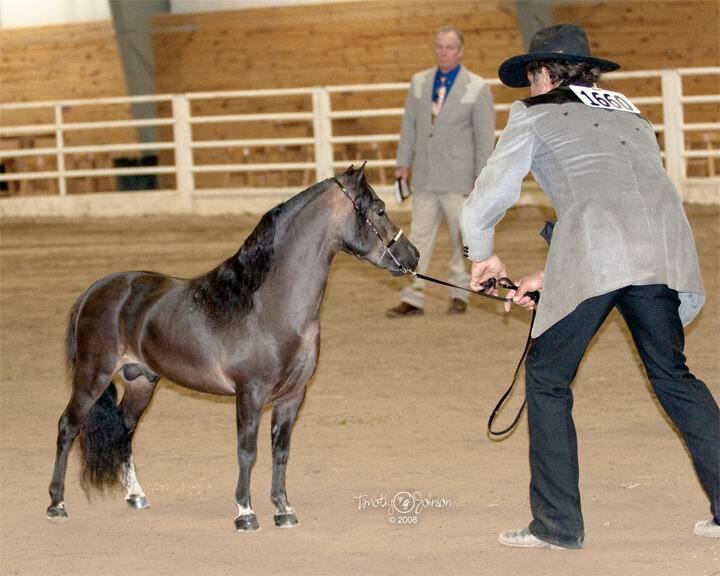 He has excellent foundational breeding with National Champions thru out his pedigree. He has a very muscled confirmation, chisled head, and a huge eye. 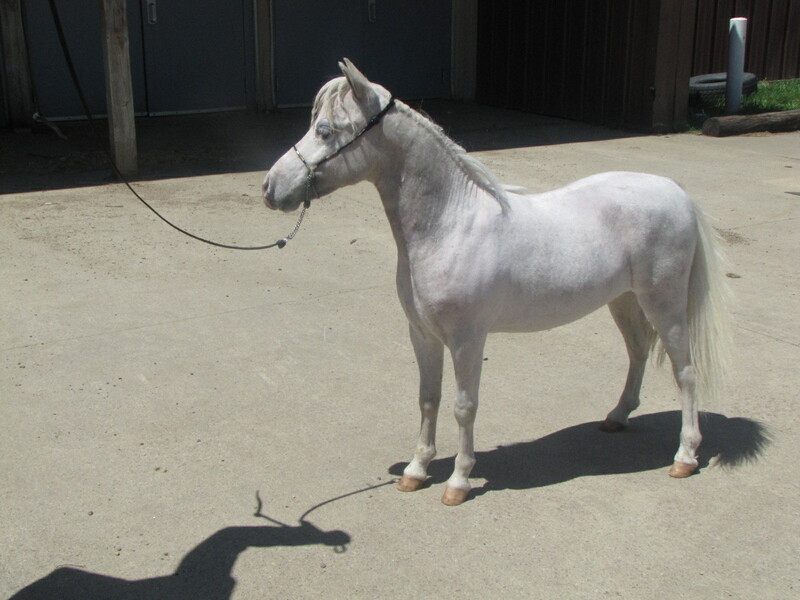 Telly was shown in Halter classes only. We have since started him in driving and he has taken to it very well. He likes to drive and we are also possibly considering jumping and Hunter. 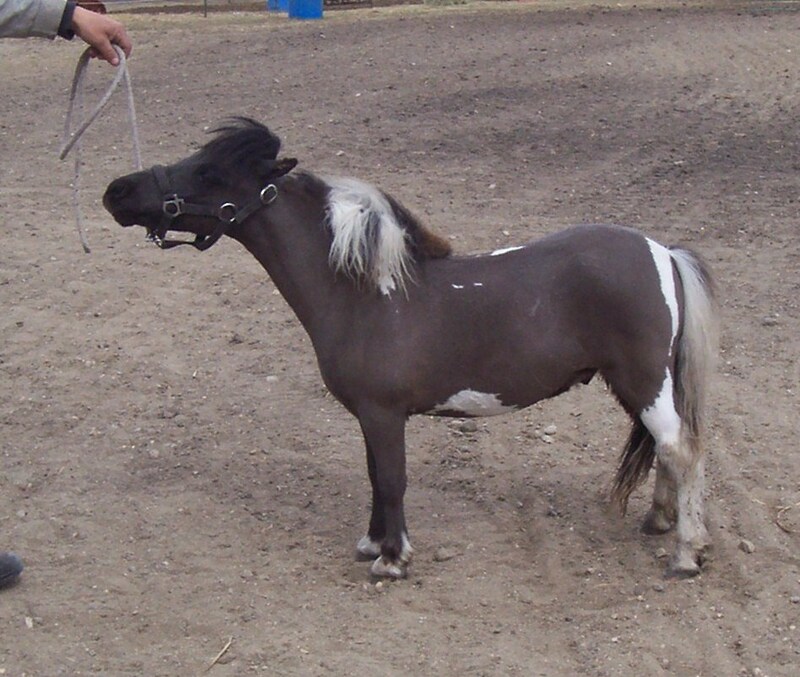 With his upheaded body carriage, I believe he would also make an excellent Liberty horse. He just has that “look at me” attitude no matter what activity he may be engaged in. 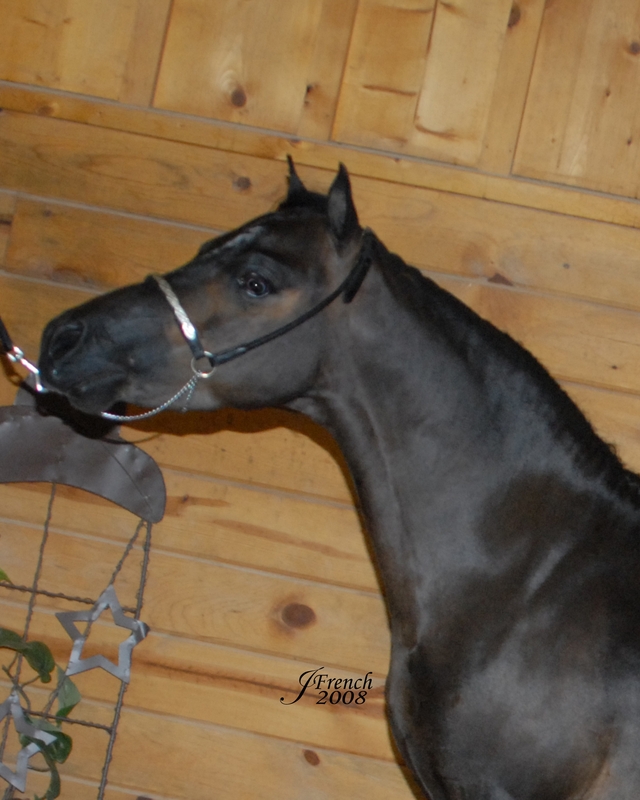 “Petey” as he’s affectionately called here on the farm is a very elegant mover with a style and gait that has been inherited from his sire multiple National Champion driving horse Century Farms Bey Masquerade. He has a long neck, beautiful head and eye, and long, long legs. He looks far taller than what he measures. 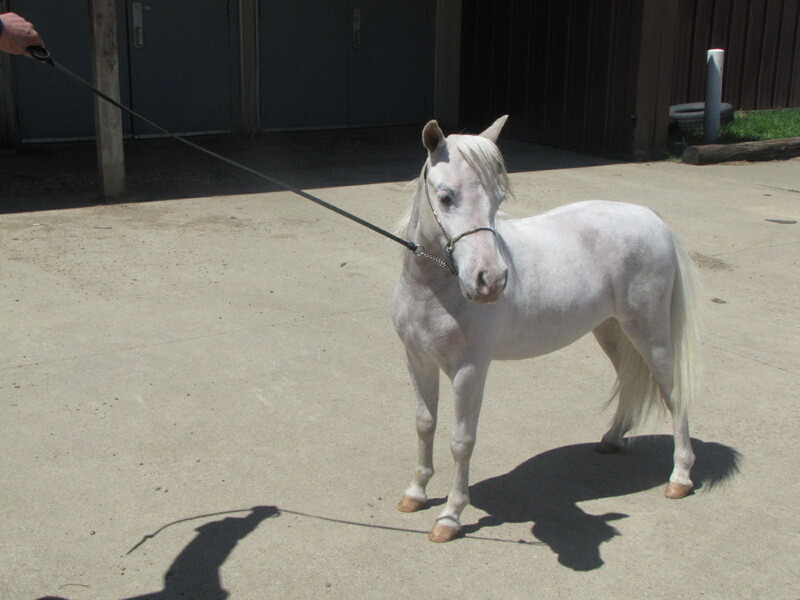 He is really put together and will be part of the Showtime Training show string for 2014 in Single Pleasure and Park Harness. We can’t wait to show him to the rest of the world. Everyone needs a job and Sonny’s job is to put a smile on your face. 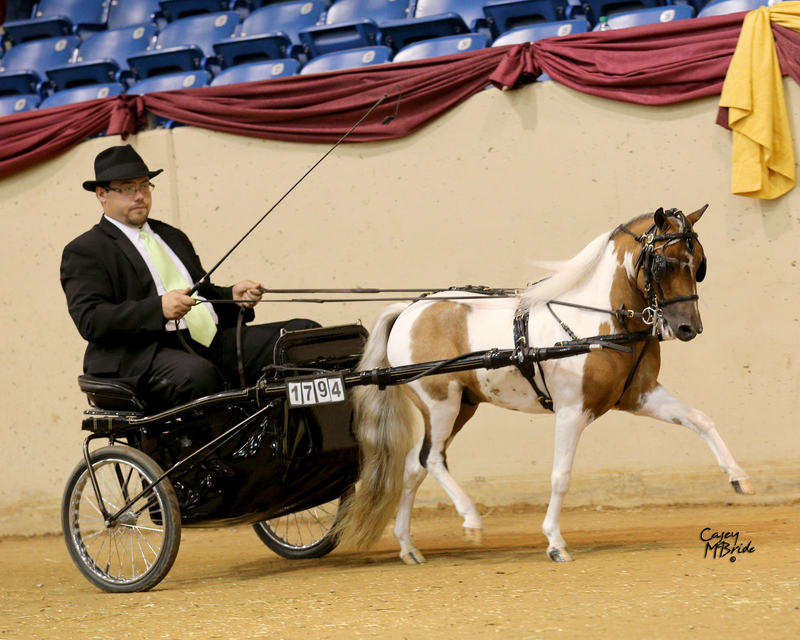 Whether he’s playing in the pasture, frollicking with his sister, or harnessed and driving in the cart, Sonny is sure to please. 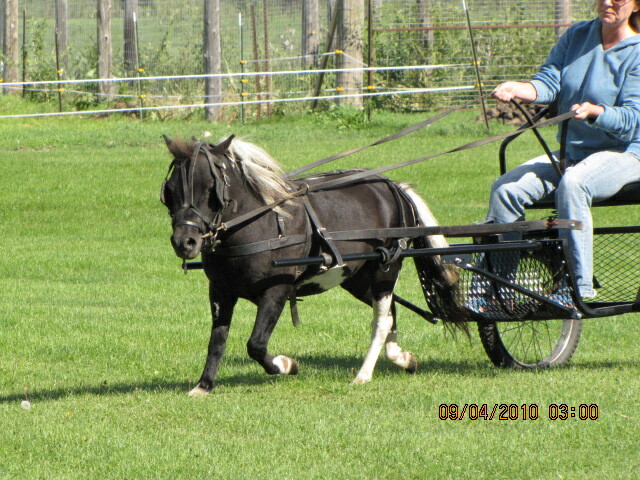 We started him driving in 2010 and hope to show him in harness for the 2011 show season. Standing at only 30″ small, his enthusiasm for driving is huge as he shows his desire to go and go. 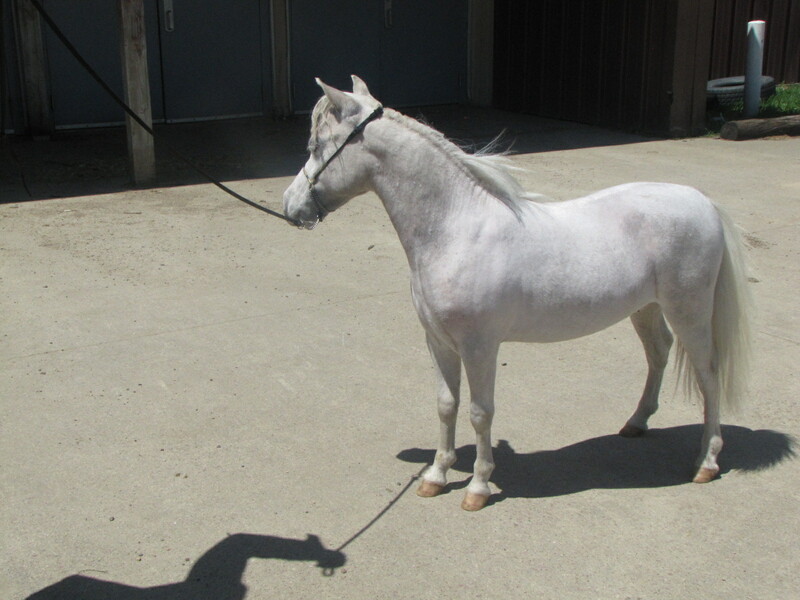 He was shown in Halter with limited success, but we expect him to go places driving and also in jumping and Hunter classes. This little colt comes from some of the most well known foundational breeding programs in the world – Flying W Farms Little Blue Boy and Buckeroo. 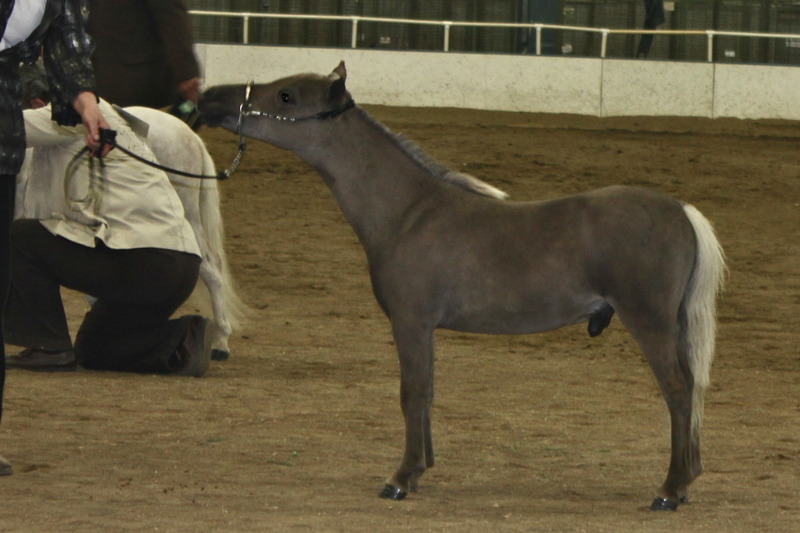 His pedigree screams outstanding with names such as FWF Little Blue Boy, FWF Wardance, FWF Little Wardance, FWF Blue Taboo, Lilliput Acres Show Me the Bucks, and LK Buck on Broadway… whew, what a lineup. Edgar comes stacked with National and World Champions. 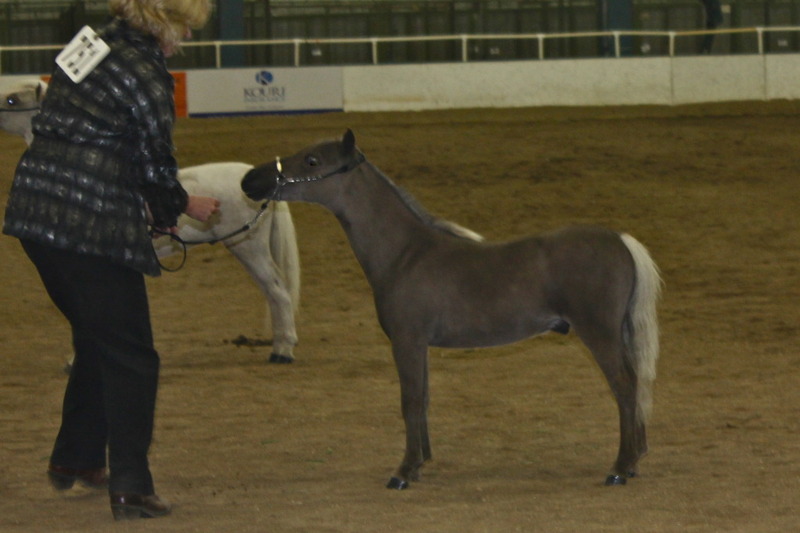 He is an exceptional little show gelding. 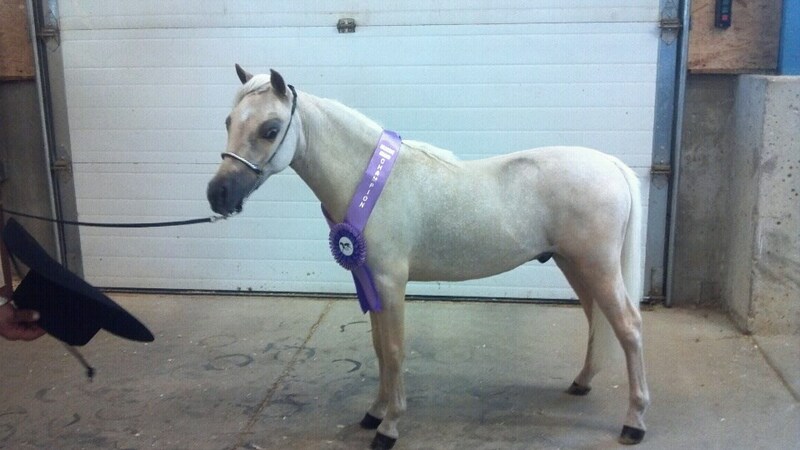 If you’re looking for a gelding that you can put in the show ring and win with, this is the horse! 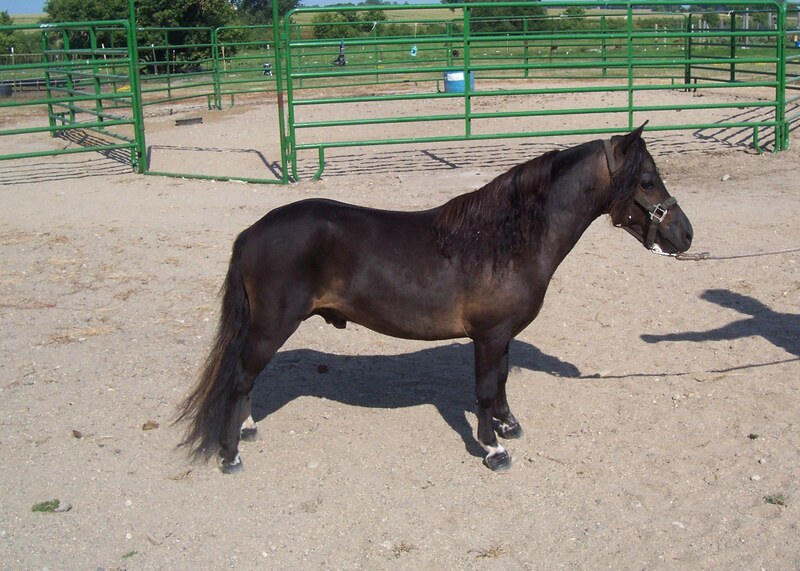 Edgar is for sale right now to a show home. He’s a nice, nice little horse. 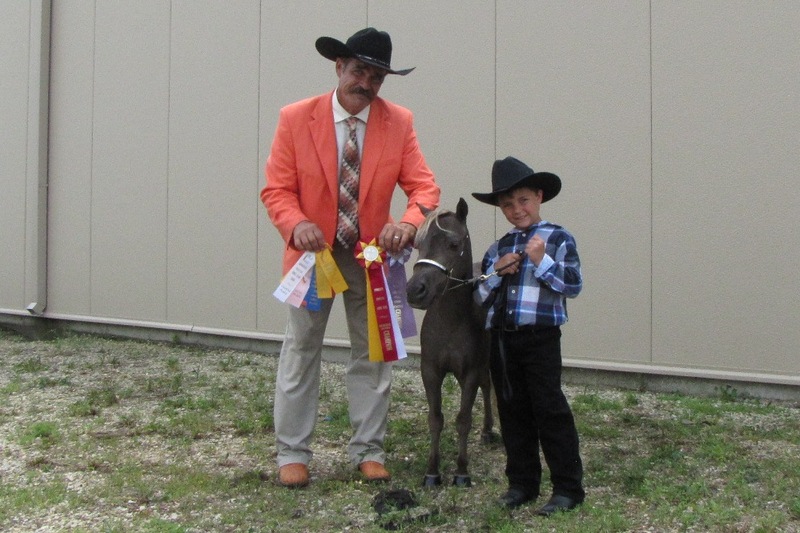 “Moosey” was shown first as a yearling Stallion at the South Dakota Mini Horse Extravaganza and received 1st place in both the AMHA show and the AMHR show. This was his only show until 2014. 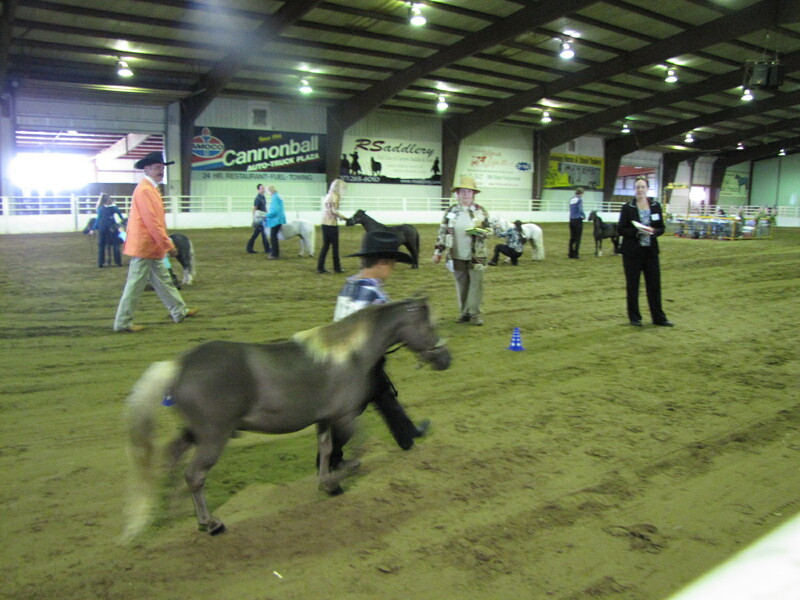 “Moosey” was shown in 2014 by our grandson Gage Degner (6 yo) at the Minnesota Miniature Horse Show (AMHR Sanctioned) in Cannon Falls, Mn. Moosey and Gage really clicked. 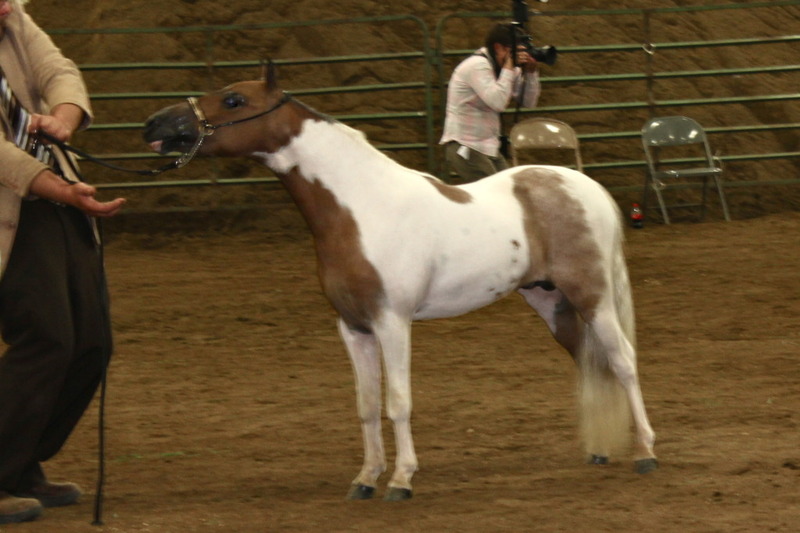 Moose was shown in the Open Halter Gelding Under class by Gage and they rocked!!! 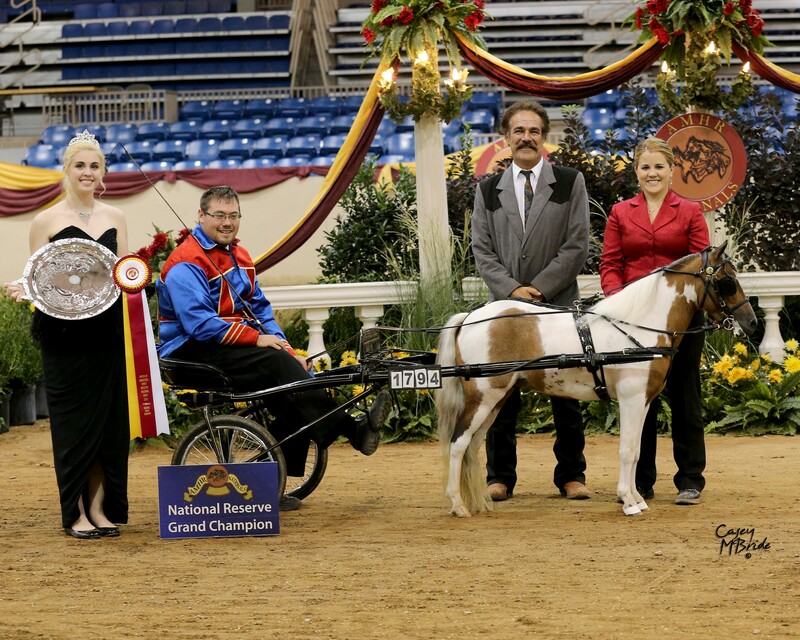 They kept winning right up thru obtaining the Reserve Grand Championship in the Open!!! And we originally only were going to have Gage show Moosey in the Color class because this was Gage’s very first horse show but he got along with Moosey so well that we said “put him in the Open and let him play”. Well they definitely played well together. What can we say? Moosey has a great attitude, loves to show, and loves people. 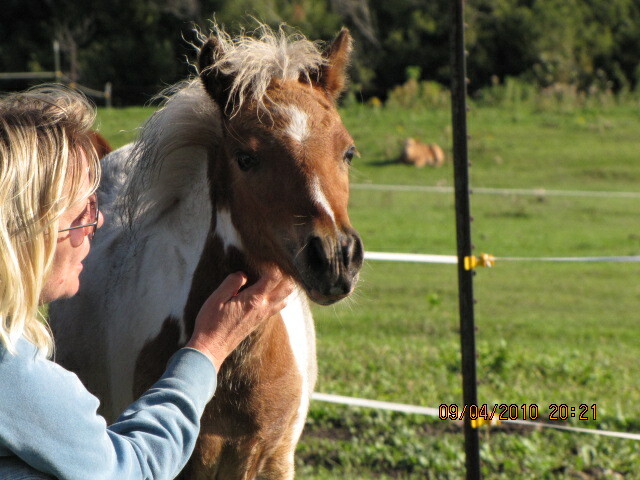 “Jimmy” was on our 2013 show string in the Yearling classes. He exceeded our expectations in very limited showing. This little guy has attitude, attitude, and more attitude. He has his daddy’s beautiful neck and conformation along with a gorgeous little chiseled head.